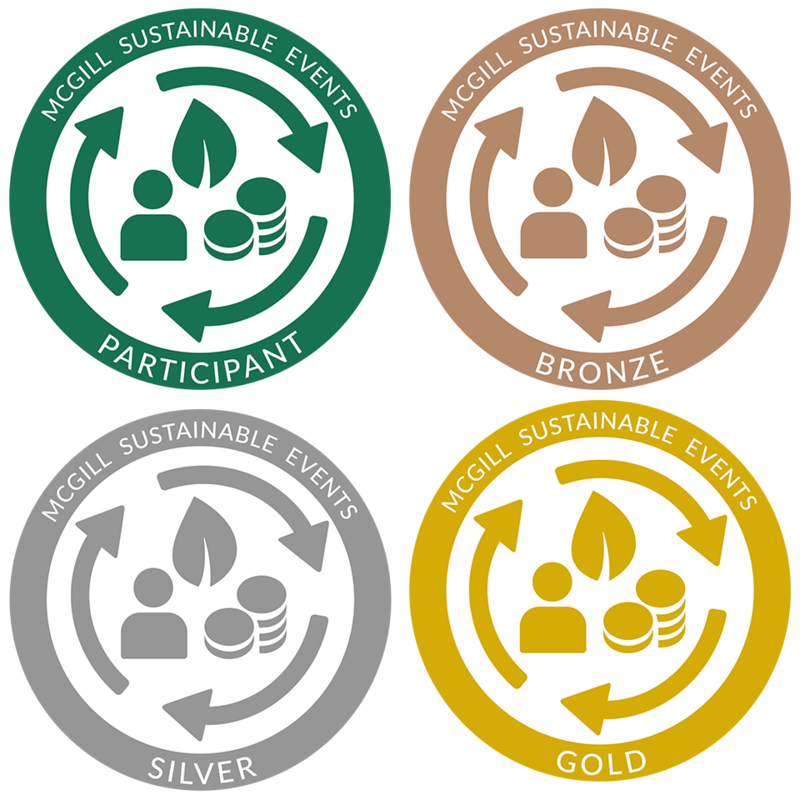 Visit the McGill Sustainable Events website to get your event certified! The McGill Sustainable Events program is an initiative from the Office of Sustainability that provides consultations, trainings, resources, and certification to encourage and support more responsible events at McGill. The services focus on environmental impact (carbon footprint, waste management), inclusivity (diversity of organizers, programming, and participants), and accessibility (reducing barriers). Moreover, the program helps to raise awareness, involve participants and reduce material waste by working closely with the event managers throughout the planning process. Check out the “learn more” section of the McGill Sustainable Events website to find out how to make your event more socially and environmentally responsible. Fill out the “get certified” section of the website to meet with one of our student consultants and be sure to hit the “send to MSE” button at the end of your request. During the first meeting, the Student Sustainable Events Consultants will examine which actions are currently being performed and advise the event coordinators on practices to make their event more inclusive, accessible, and environmentally friendly. The consultants will also remain in contact until the event to provide other recommendations. The certification level will be determined when the actions for the certification process have been confirmed. The certification level is attributed on a points based model using the following percentages of points obtained. Which events have been certified in the past? When should I reach out to get my event certified? The earlier the better! This will give you the ability to bring more changes following our first discussion. Please try to get in touch with us at least 3 weeks before the event to allow a consultant to meet with you in time for your event. Is there a cost to the McGill Sustainable Events service? No, the service is offered freely to all members of the McGill community. I’m worried my event will not have a very high score and get a “participant” or “bronze” certification; should I still participate? Yes! We recognize that McGill has a wide range of events and that some of them will encounter more challenges than others. We encourage Participant and Bronze certified events to publish their certification as much as possible and aim for year-to-year improvements. Reporting your performance and raising awareness of the importance of the topics are the first and most important steps. Keep in mind, Participant and Bronze Certifications still score higher than non-certified events. Can I talk to a consultant without getting my event certified? Yes. We encourage everyone to get certified as a way to benchmark results for year on year improvements, but the consultants can also sit down with you to answer questions, provide recommendations, and point out useful resources. If this is your case, please send us an email at events.sustainability [at] mcgill.ca. Is there a minimum or maximum size of event? What types of events have you worked with in the past? No. We have worked with very small (a few people) and very large (thousands of people over several days) events in the past and are happy to work with all kinds of events as they all present different and complex sets of problems. We have also worked with outdoor and indoor events; workshop, panel, and speaker style of events; events with meals, snacks, or no food; and events with and without alcohol served. I think my event will be quite unsustainable, is it still worth sitting down with a consultant? Yes. The most unsustainable events are the ones that offer the greatest possibilities of improvements, and are definitely worth being discussed. Our consultants are not there to judge you, but to assist you in making your event more accessible, inclusive, and reduce its environmental footprint. If you think your event will be outstandingly sustainable, the certification might be a great way to highlight your efforts, benchmark your efforts, and keep aiming higher. We are also always open to learning more and would be happy to know which initiatives you have taken over the years. The certification may also be a great way encourage other connected events to get certified. My event will likely be located elsewhere than at McGill, can I still get it certified? Most likely. Events hosted by a McGill body can get certified. 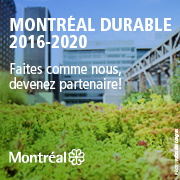 If you are unsure, please send us an email events.sustainability [at] mcgill.ca (at this address) so we can evaluate how we can best help you.